Discover The Wonders of Our Earth and the forces and life forms that shape our world with the Physical Geography Series. Glaciers have had a more profound effect on the surface of the earth than probably any other geological process. This is the one audiovisual aid you SHOULD have to explain the world of glaciers to your students. 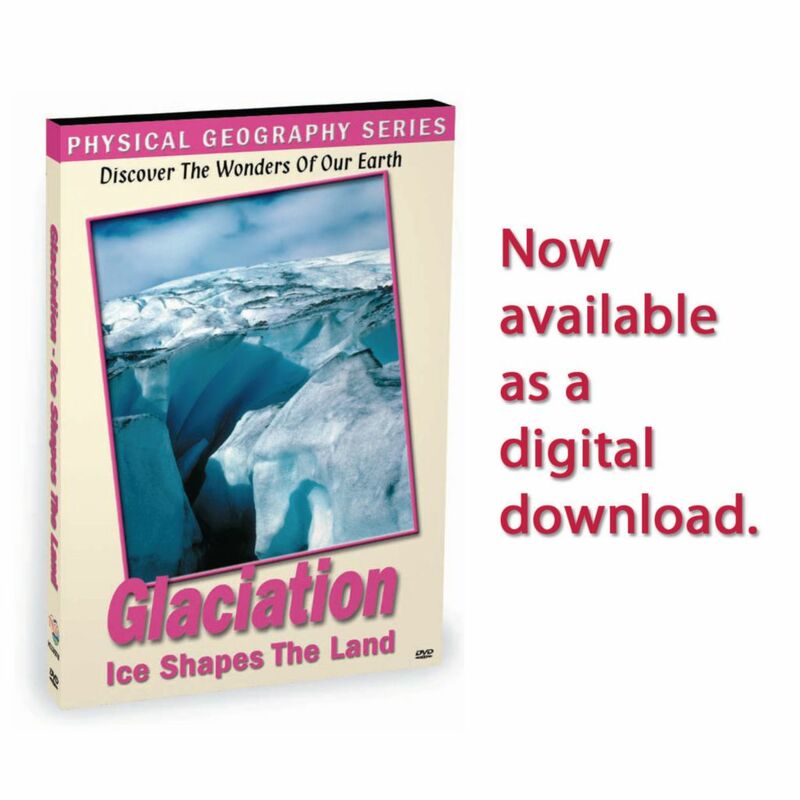 This program clearly investigates what glaciers do and how they affected most of North America. Subjects covered include: How glaciers grow from a snowflake to a mountain of ice, How glaciers move or flow, How the land is sculptured and changed by glaciers, Depositional features such as kames, eskers, lateral, medial and terminal moraines and crevasses, Erosional features such as U-shaped valleys, aretes, horns and fiords, Why glaciers form, Evidence to show that the glaciers have moved, Alpine, Continental and Piedmont glaciers.